Results are now published for the final Spring O event of the series – a good job as it is now properly summer, as you can tell by the temperature of the rain. Congratulations to Luke and Steve Fry for planning their first event successfully. There were some great comments at the end, so well done. That’s it for the series. Thanks to all those who took part, especially all the planners, helpers and Richard Kirk as overall co-ordinator. Look out for news of dates for the Autumn Lampos and of course our club events and have a great summer. See you all at Harlow Hill / RHS Harlow Carr in September. Results are now up for tonight’s Spring O at Hell Wath in Ripon. Well done to those who turned out in decent numbers. Unfortunately some competitors on the Green map memory course found the venue name all too appropriate as Planner David Day’s cunning and the challenge of memorising whole legs did for them. Top marks go to Luke Parker, who showed everybody a clean pair of heels to win, which will hopefully match the results of the two exams he also had today. Airienteers are seeking a part-time, paid Junior Development Officer. 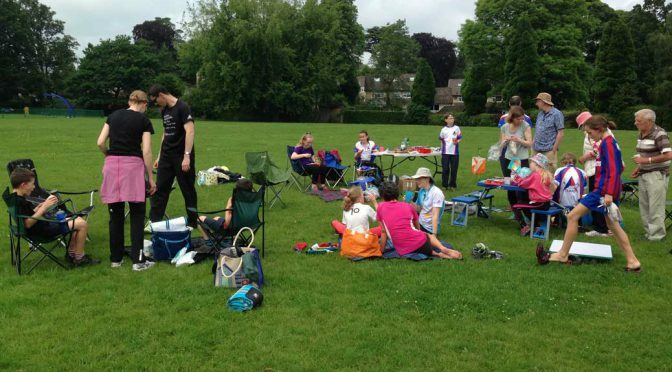 The JDO’s role will be to increase junior participation in orienteering in Airedale and Wharfedale and, through that, to improve junior membership and skill levels. The job description and details are here if you are interested.